Member Spotlight: Landscape Aesthetics, Inc.
Carmine P. Fusco, Licensed Landscape Architect, founder and owner of Landscape Aesthetics, Inc., has been creating beautiful outdoor living spaces for more than 25 years. His award-winning creativity and expertise in developing unique, breathtaking designs are unsurpassed in originality and craftsmanship. Landscape Aesthetics Inc., provides full service New Jersey landscaping and design including project management of finely crafted stone walls, patios and walks, fabulous outdoor fireplaces and kitchens, picturesque plantings, stunning pools and waterfalls, poolscape renovations, masonry, landscape management services as well as a tree growing nursery. 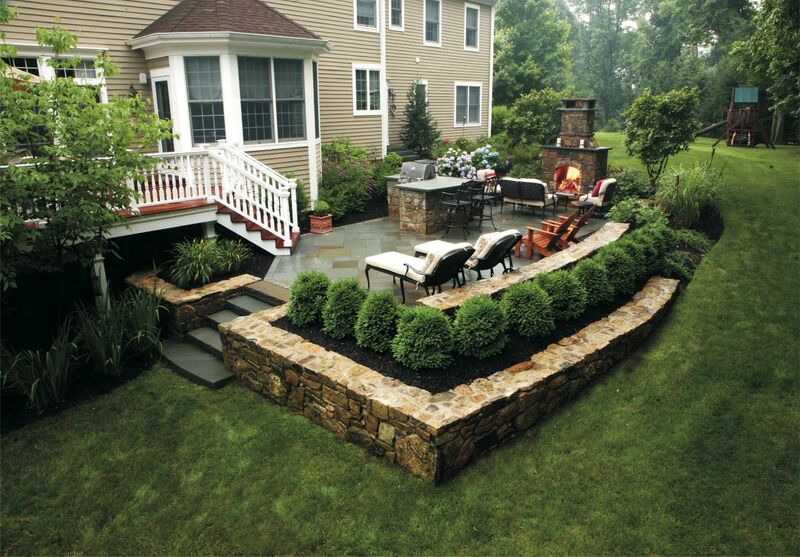 Landscape Aesthetics begins the landscaping process by doing a site analysis of the property. Taking into consideration the design of the home, Carmine also evaluates how it best functions with the proposed outdoor rooms such as dining areas, poolsides & cozy outdoor fireplace areas as well as for open lawn/sport areas. Landscape Aesthetics also aspires to enhance the existing beauty of any property as well as to soften the less than ideal views. Carmine is very honored to have received the CJNARI 2012 CotY Award for the Residential Exterior Specialty category. Carmine is married to Renée Smith Fusco and they reside with their three children in Hunterdon County. When he’s not working you can find him spending time with his family exploring different areas of New Jersey or spending a relaxing day on their boat.